Mr. 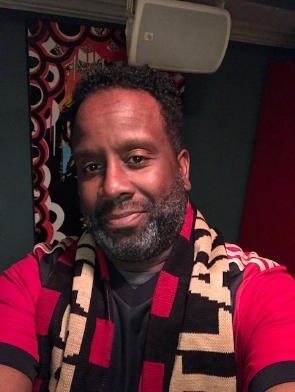 Speaks showing his support for Atlanta United and some holiday beard growth. It’s Round 3 In what has become a Zen Noodle Pie tradition, a pre-turkey gab fest with good friend, musician and lover of sports, Mr. John Speaks! For the third time we convene on the tail end of an election and right in the midst of NFL season frustration and we let it out. We also talk about the Young Antiques new album coming soon! Once again we could have talked for hours so this episode will get you through nearly 1.5 hrs of your journey. Hang with us and travel safe. Zen Noodle Pie is so thankful for listeners and guests and newly emerging traditions that help me keep my anxiety in check.